This article was originally published in L'Arche Canada by John Guido. I was a man on a mission. I’d only been in Winnipeg in January when it was “40 below” – the people of Manitoba sure are a hearty and determined bunch. The May weather was more pleasant, but I didn’t come to Winnipeg to get outdoors. I came to eat. 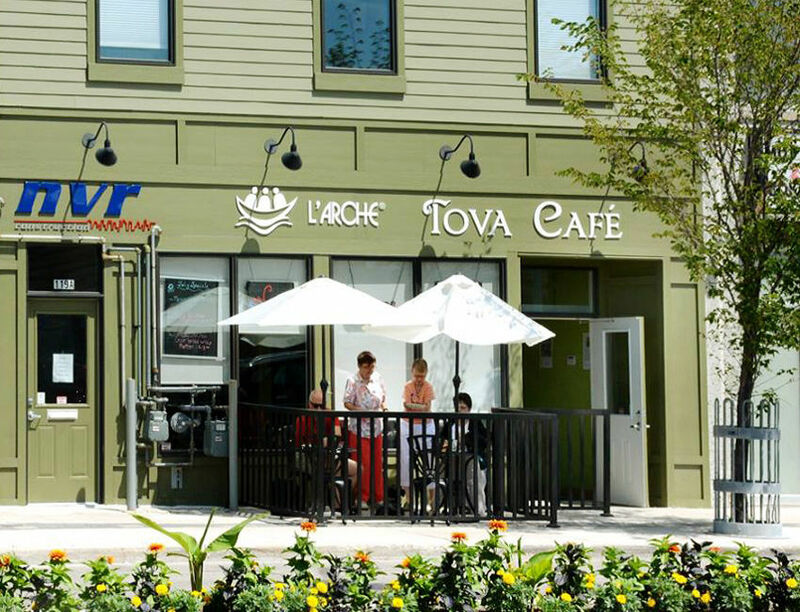 For years, I’d been hearing that the L’Arche Tova Café is a special place with great food. People said, “You have to go and see for yourself.” I was a bit skeptical. Was this place really that special? Finally, I gave in and went to see. 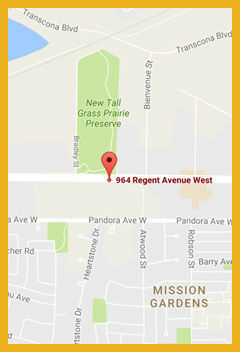 With its mix of small businesses, Regent Street in Transcona is vibrant without being trendy. 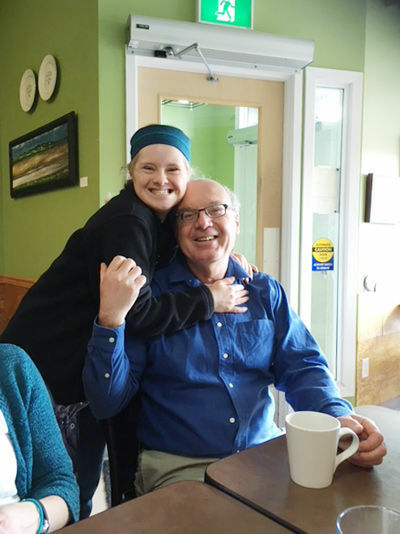 After a visit to the L’Arche office down the street, Jim Lapp, the L’Arche Winnipeg community leader, brought me to lunch at the café. It’s midblock in a series of shops, a simple two-story commercial building with green-painted siding. Jim explained that the building was bought through a combination of grants and generous donations, removing the burden of rent from the bottom line. As I enter, the décor immediately wins me over. The interior is a light shade of green, at once lively and calming. On the walls are paintings by local artists. There are three rows of tables with a bakery counter at the rear before a large window into the kitchen. Like my favorite coffee shops, the look is warm and welcoming without pretension. Jim greets the regulars and makes a few first-timers feel welcome. Coming from Toronto, the friendliness is striking. 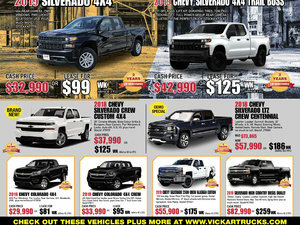 It’s busy with a steady flow of customers. I ordered the BLT on fresh potato dill bread baked in-house. It’s really good, straightforward food. They’ve nailed the value for the dollar that’s essential. 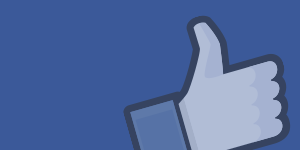 It doesn’t feel ‘special’ like the cafes you see on Facebook staffed only by people with Down syndrome. I only see Nolan, who has autism, working in the kitchen as a cook. But there is something about L’Arche Tova Café. I return for lunch and am greeted by Stacey, a young woman with Down syndrome who lives with her family. She takes her job seriously and tells me proudly of the award she earned in recognition of her effort. I get the chicken quesadillas and am not disappointed. I share a table with Hazel and Kathy, who volunteer at the café once a week making guests feel at home. These women share a bond that is clearly deeper than the shared physical disability that they point out to me. They told stories about how they’ve ‘been there’ for each other for decades of life’s joys and sorrows. By day three, I’m beginning to feel like a regular myself. I return for breakfast, this time the vegetarian breakfast wrap. I’m invited to join the Northeast Business Exchange. These business and community leaders meet at Tova Café every Thursday morning to network. They welcome regular guest speakers like the local MLAs and MP. One of the business owners tells me about a L’Arche member with disabilities who has befriended him over the years. He is concerned about how his friend is declining due to dementia. His care touches me deeply. My visit is coming to an end and I’m sad that I won’t be around for the monthly music concert happening at Tova Café that evening. It’s sold out, but they’d have squeezed me in. And I won’t be there on Saturday to see Ross, the ‘welcomer’ par excellence, in action. I would love to see the community’s annual “Art from the Heart” show. I really want to be part of this place and the community it has fostered. 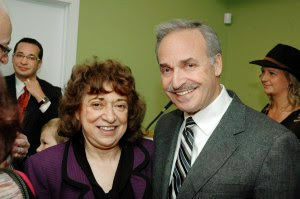 Photo: Tova and Larry Vickar, key partners in the mission of this social purpose business. 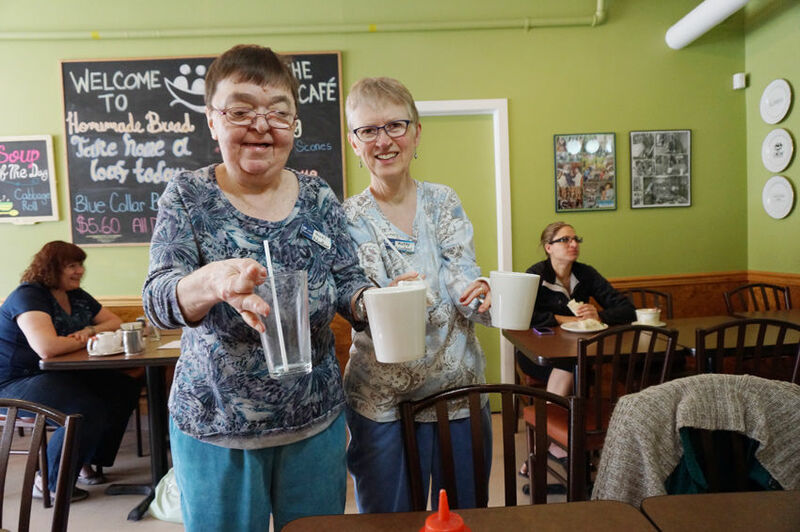 Like any successful café, the L’Arche Tova Café is truly a community space, a business with a social purpose of welcoming neighbours and visitors, and sharing good, honest food. What makes it extraordinary, is that it is also a space of true inclusion where persons with disabilities belong, where their gifts are welcomed, and where they contribute to making the place just a little special, a place where everybody is welcome and belongs.